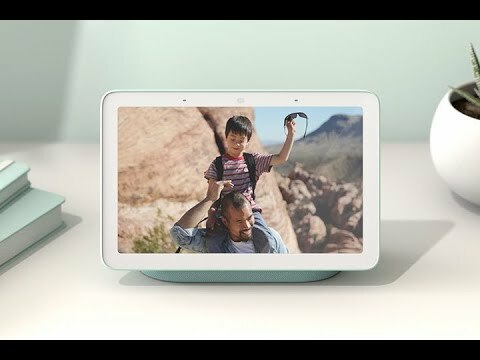 Google Home Hub, smart device showing recipes, YouTube videos and calendar information. The Home View function makes it possible to operate smart home equipment in one overview with the Hub. In the Home View, for example, it is possible to switch off all smart lights in a house or in one room. According to Google, Home View can handle devices from over a thousand electronics brands, including Philips' lamps and the thermostats from its sister company Nest. The Home Hub has no camera. According to Google, this is a conscious choice, so people don't have to worry about privacy. For example, if they use the device in the bedroom. The Home Hub can also be used there as an alarm. The screen automatically turns off at night.